In an age where designers are frequently performing their duties behind a computer screen, there seems a lack of a true relationship between the creator and the materials he or she creates with. 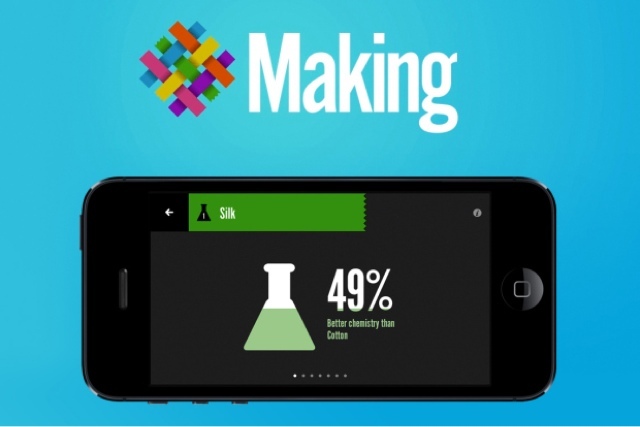 The new MAKING app by Nike was introduced to help serve as a liaison between this disconnect, helping designers to see the environmental implications of the materials they choose, based on the use of four elements: water, chemistry, waste and energy. The comparative system, which is based on Nike’s Materials Sustainability Index (MSI), rates each material (i.e. : polyester or silk) out of a possible 50 points. This gives designers increased control over the sustainability of their pieces, as it helps them understand the direct impact of their choices. The app is available for free on the iTunes store.